The latest fashion twist on one of the oldest holiday traditions! 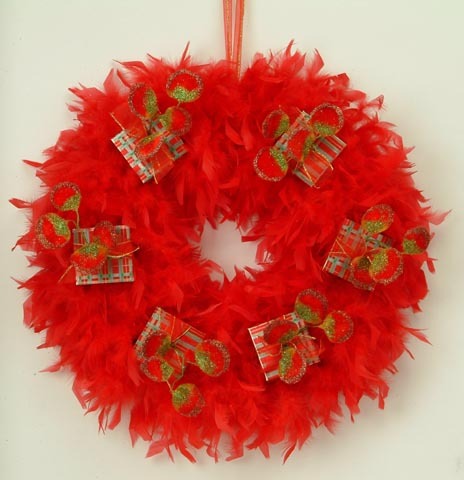 Our red feather wreath makes a stunning addition to your holiday decor. Hang over the mantle place or on the front door. (Feathers are outdoor friendly). 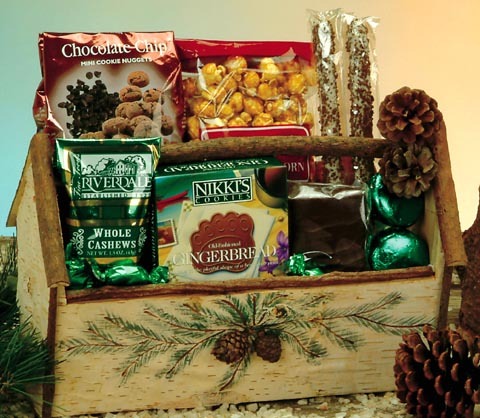 Unwrap the six coordinating boxes and savor the sweet goodies inside. 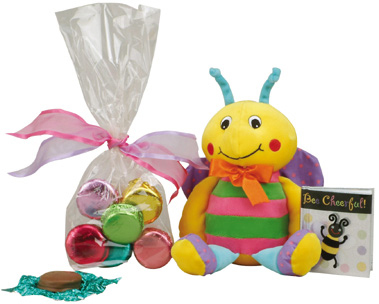 Contents: Creamy Milk Chocolates, Belgian Chocolate Covered Oreos and White Chocolate Raspberry Crispie Joys. Net Wt. 1 lb. Leather bound and lined with felt, this stunningly handsome crocodile embossed book is over 1 ½ ” long and 5” deep. 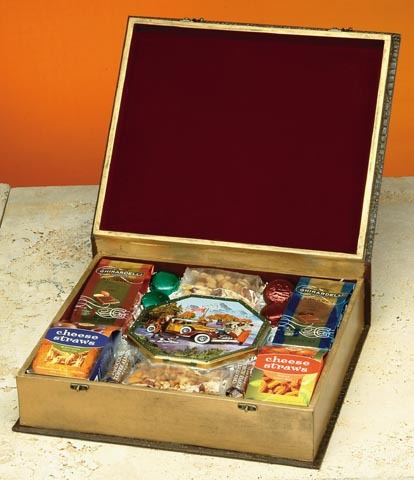 A strikingly unique gift that will be treasured long after it’s received, place on a desk or coffee table once the wonderful assortment of gourmet foods are enjoyed. Contents: 2 bags of Ghirardelli Chocolate Squares, 2 boxes of Cheese Straws, 2 bags of Deluxe Nuts, 2 La Tempesta Biscotti, 4 Belgian Chocolate Covered Oreos and an Embossed Tin of Imported Butter Cookies. Net Wt. 2lbs.12 oz. Our birch wood letter box has all the makings of an old fashioned storage place for letters, writing materials and more. A pine motif brings a little of the outdoors inside this season. Contents: Filled with a Chocolate Covered S'more Cookie, three Nikki's Gingerbread Bear Paws, Natural Whole Pistachios, two Chocolate Covered Oreo Cookies, two Chocolate Decorated Pretzel Sticks, Chocolate Chip Cookies, and Caramel Popcorn. Net Wt.1 lb. 5 oz. Be the Hero of your next party!! Birthday Heroes favor box includes Fire, Police, & Astronaut hero favors. 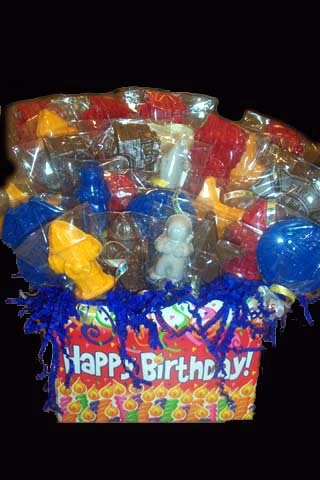 There are 20 lollipops in this birthday box. Additional lollipops available for $2.50/each. * Basket may vary slightly according to availability.